I love reading Penelope's chatty reviews and adding her top grade selections to my growing list of 'must reads,' so this is a privilege to share a favorite romance of mine. 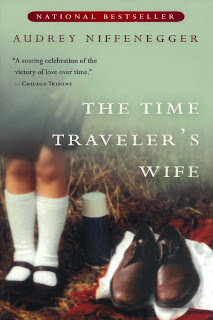 I've chosen Audrey Niffenegger's The Time Traveler's Wife due to its recent movie release--just in case the movie takes a wrong turn as so many books-to-movie scenarios do. I'm still having nightmares over what they did to Sophie Kinsella's Confessions of a Shopaholic... 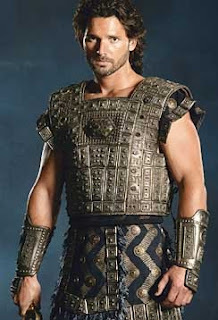 But that's for another blog titled "Why the hell does Hollywood buy the rights to a NYT bestseller only to chuck plot and characters that clearly worked, hence its bestseller status, and transform it into a watered-down, pathetic version of its former self, the title being the only connection to the original." What is up with that???? As Penelope would say, Jesus H. Canola. I digress...back to the review I'm here to share. Audrey Niffenegger's The Time Traveler's Wife is one of my all time favorite love stories. From the very first line, I was sucked into this unconventional romance. The heroine, Clare, begins: "It's hard being left behind. I wait for Henry, not knowing where he is, wondering if he's okay. It's hard to be the one who stays." And that was it. I was hooked, ready to ride out this unusual and extraordinary journey. Set in Chicago, Clare and Henry's story begins with a bit of confusion as the reader works to unravel its strange timeline. The book is told in alternating points of view between Clare Abshire, an artist, and Henry DeTamble, a librarian and an involuntary time traveler. Henry suffers from Chrono Displacement Disorder, which means that he suddenly disappears only to find himself in the past or the future, alone and naked. He is usually dropped to a time of significance in his life. Sometimes, Henry assists his time traveling self during these strange passages. When Henry first meets Clare, he's 28 and she's 20, and Clare exclaims that she's known Henry all her life, while Henry has no memory of Clare. It is not until he is in his forties and time travels back to meet a 6 year old Clare, that he understands her statement. Hence, the book's confusion as the reader works to understand its unconventional timeline, but it's well worth having the patience to do so. The rewards are worth it. Niffenegger's writing is poetic at times and her story is clever, inventive and poignant. Henry and Clare are great characters, well drawn, brave and strong. They learn to appreciate what they have as they struggle to build a normal life, getting married, having a child and holding onto each other despite the disruptions wrought by Henry's abrupt disappearances. Their wrenching love story pulls at your heart. It's about a love that is a prisoner of time, yet still triumphs. I give it an A+! Here's hoping that Hollywood does it justice and brings Clare and Henry alive for us. That would be a rare treat indeed. I absolutely loved The Time Traveler's Wife, Vicki and agree wholeheartedly with you. The relationship grabs at your heart and pulls and pulls, making you question how love survives despite the most difficult of circumstances. Great review! One of my fav books.